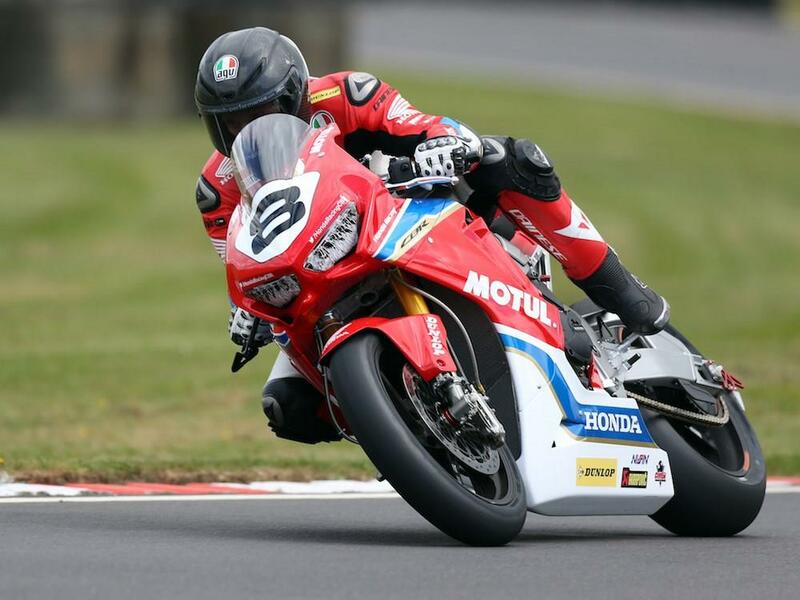 It’s fair to say it’s been a tough year so far for the Honda Racing squad, with star rider John McGuinness ruled out of this year’s TT after a nasty crash at the North West 200 earlier this month and Guy Martin struggling to find the pace on his road racing return. But there could be light at the end of the tunnel for the Louth-based squad after a positive test at Castle Combe last week saw Guy Martin feeling much more comfortable with the Fireblade CBR1000RR SP2 after a switch from Honda’s kit electronics system to the MoTeC system used by their British Superbike team. The switch comes after the team have so far been unable to identify the cause of McGuinness’ North West crash, with the 23-time TT winner having reported the incident was caused by his throttle sticking open/engine not shutting off. While post-crash checks revealed the machine was mechanically sound, the squad have been unable to retrieve the data from the machine’s ECU to establish the cause. For a full update on Honda’s situation, pick up tomorrow’s MCN news. Pick up a copy of our special edition McGuinness: Ordinary bloke. Extraordinary Racer. This special from MCN, celebrates the career of one of the sport's best-loved road racers. Affectionately known as McPint, John's career has wowed and entertained bike racing fans for more than 20 years. BUY IT NOW!